Looking to sell a 1/3 of season tickets including parking pass. Club level, corner seats. Playoffs optional. You receive every third game starting from the first home game. The tickets are numbered from 1 first home game (preseason game one) all the way to game 45 (last season game of the year). I'm open to any fair arrangement for games after December 5. Its probably too late for a "draft", but there are plenty of good games: OKC, GS, CLE, LAC, etc. We could identify the "premier" games to make sure you get one or more of those. Very interested.i would like 10 games. But 15 would work if price is right? What price we looking at? How do playoffs work? Sorry for delay.... I'm looking at $220 per pair including parking. That's break-even for me. I can do any deal you're interested in. I'm flexible. We can come to some agreement to ensure you get what you want without cherry-picking the top games or getting stuck with dogs. Do you have a list of dates? All games available except the opener. I prefer to sell 10 games in a draft format for the price/game quoted. However, if you only want 5-10 games we can come to some agreement to ensure you get what you want without cherry-picking the top games. Any tickets left, looking for 5-10 games but i need to know the dates. Please let me know and i can arrange offer and payment. Thank you! Happy to buy 1/3 of the games left. But only in a snaking draft format. Any chance you would consider drafting, it is easy and a fair way to partner. If so, I would make an offer immediately on these tickets. Which parking lot is it? Could we, in a gentleman's agreement, agree before I make an offer that the playoffs are included? The lot directly across from stadium on Madison. I think it is C. We can agree playoffs are included but Bulls require full payment up front with no refunds so we would have to work details. Value of unused tix carry over to next year. Interested...would I know before going into the agreement what games i would get? Yes. Bulls schedule is out. See my previous response. Yes. You would get the first pick and every third pick after that: 1, 4, 7, etc. As the schedule looks, you would get the Lakers on Christmas. 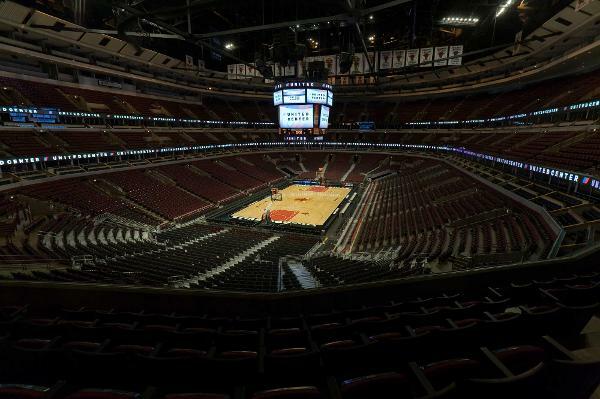 I would also provide you an ticketing opportunity that the Bulls provide me. They don't make every concert and college b-ball game available to season ticket holders. I understand it is based on the particular promoters. We would have to work out logistics. Tickets in that section are face of 90$ so would you accept 100 a ticket for a third of the season? No. The tickets are face $90, but the Bulls charge a $2000 club fee (which includes parking and other club benefits) on top of the ticket price. My asking price covers the total cost not to make a profit. If I wanted all 15 games I thought I got every 3rd game so there would not be a draft. That was my understanding from your ad. Is this correct? You're correct. No draft. I misspoke. Apologies. Will all tickets for the season be delivered when we meet? Live outside of Chicago so I want to limit the times we would need to meet. I understand playoff tickets would be different. Thanks. Yes. We can do the draft beforehand so our meeting can be an exchange of payment and tickets. This listing has been saved by 180 people.